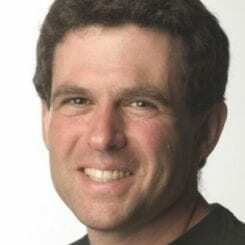 Joel Westheimer is an education columnist for CBC Radio and University Research Chair in Democracy and Education at the University of Ottawa. Author, speaker, and education advocate, he also co-directs (with John Rogers, UCLA) The Inequality Project, investigating what North American schools are teaching about economic inequality. Westheimer grew up in New York City and began his education career as a summer camp director and then middle school teacher in the New York City Public Schools before obtaining his Ph.D. from Stanford University. His books include the critically acclaimed What Kind of Citizen: Educating Our Children for the Common Good, and the award winning Pledging Allegiance: The Politics of Patriotism in America’s Schools (foreword by Howard Zinn) and Among Schoolteachers: Community, Autonomy and Ideology in Teachers’ Work. He is the author of more than 75 academic and professional journal articles, book chapters, and books. He addresses radio and television audiences and has delivered more than 200 keynote speeches, nationally and internationally. He lives with his wife and two children in Ottawa where, in Winter, he ice-skates to and from work.